Barberville, FL - February 16, 2005 - Steve Francis, who has already scored two victories thus far this season at Central Arizona Speedway during the Early Thaw Championships, added a third feature win to his 2005 racing resume by taking the checkering flags on Friday night, February 11 at East Bay Raceway in Tampa FL for his career first NARA DirtCar Series win. Steve’s $10,000 victory was his sixth overall career victory at East Bay Raceway. 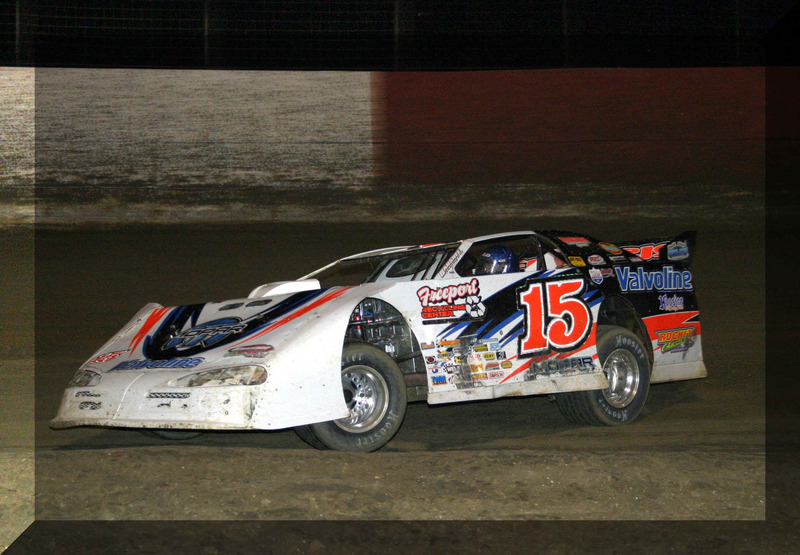 Francis kept an impressive streak alive during the six night dirt late model racing affair at East Bay Raceway by producing 4 top- 5 and 4- top-10 finishes in six events along with one win and earning the NARA PPM Racing Products Hard Charger of the Race three times, two NARA VP Racing Fuels Makin’ Power First Heat wins, one NARA Real Wheels Second B-Main win, and one NARA Rebel Shock Dyno First B-Main win. The Mopar and Valvoline sponsored dirt late model pilot’s consistent finishes at East Bay Raceway earned the Kentucky hot shoe the 29th Winternationals Championship sponsored by R. A.C.E. This is Francis’ second event championship of the 2005 season with the first coming in January at Central Arizona Speedway for the Early Thaw Championship. Steve and the Mopar and Valvoline sponsored Freeport Recycling Center and Action Auto Mart Rocket Dodge crew are now at Volusia Speedway Park for another six nights of dirt late model action with four UMP Late Model events two World of Outlaws Stacker 2 Late Model Series events, which will kick off the 2005 WoO Stacker 2 Late Model Series. Francis won the inaugural World of Outlaws Stacker 2 Late Model Series event last season, which was his first career victory at the track.